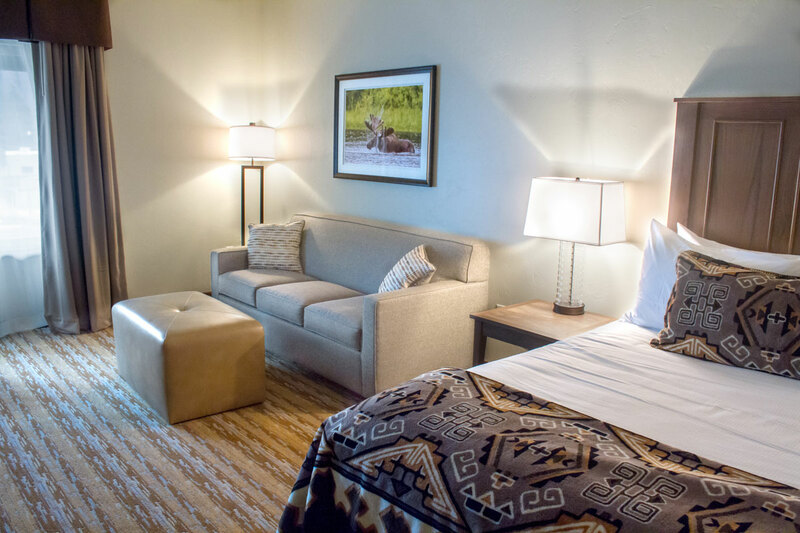 The Cedar Creek Lodge is the traditional mountain retreat redefined, a place created to let you set a pace as exhilarating or laid back as you prefer. 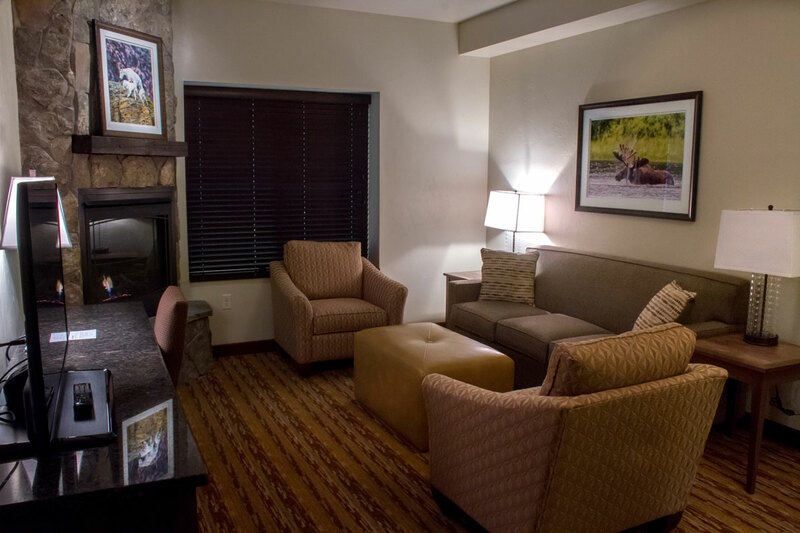 The grandness of our surroundings is brought indoors with sweeping views of the mountains in Glacier National Park. 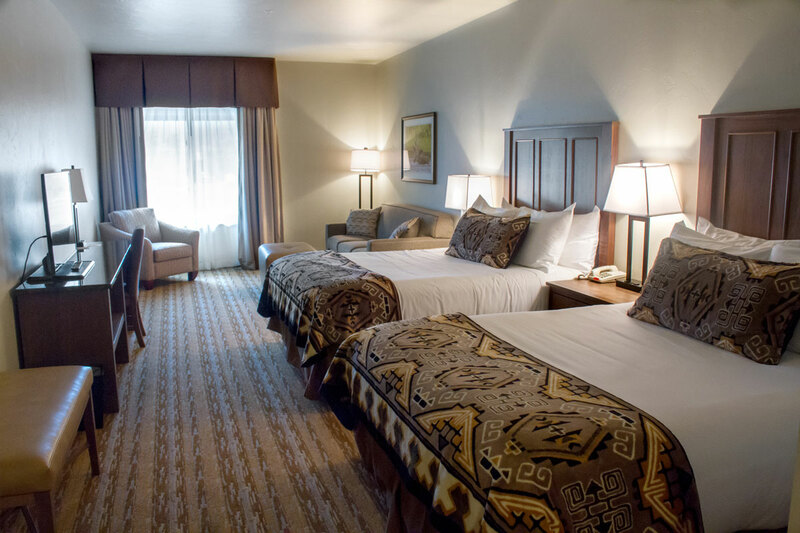 Upscale design and décor with bright, airy layouts, large flat screen TVs, and comfortable beds offer a soothing reprieve after a day of travel or exploration. 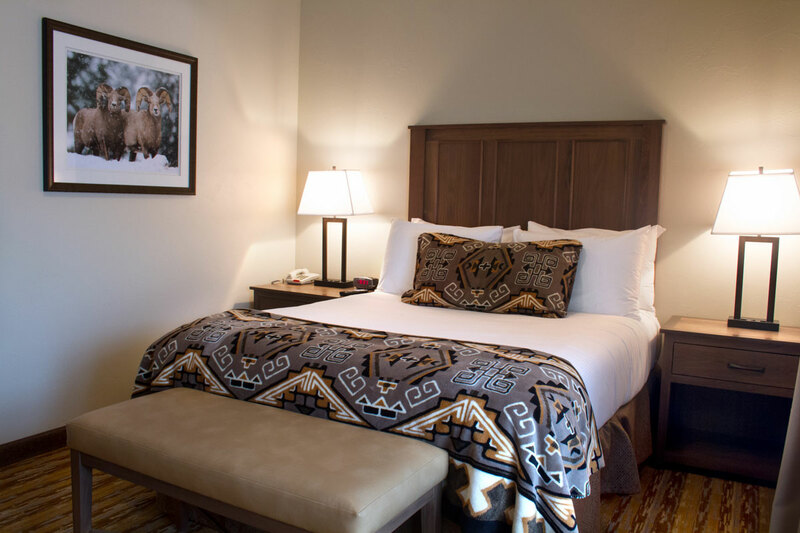 Every detail of this suite, from the plush King bed to the cozy fireplace and spa-style shower, has been considered to offer a memorable experience. 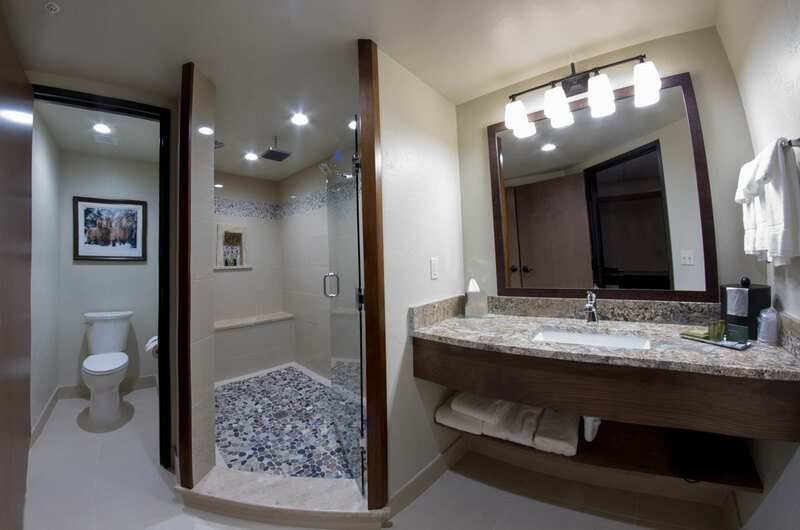 Doors separate the living room and the bedroom for added privacy and comfort. 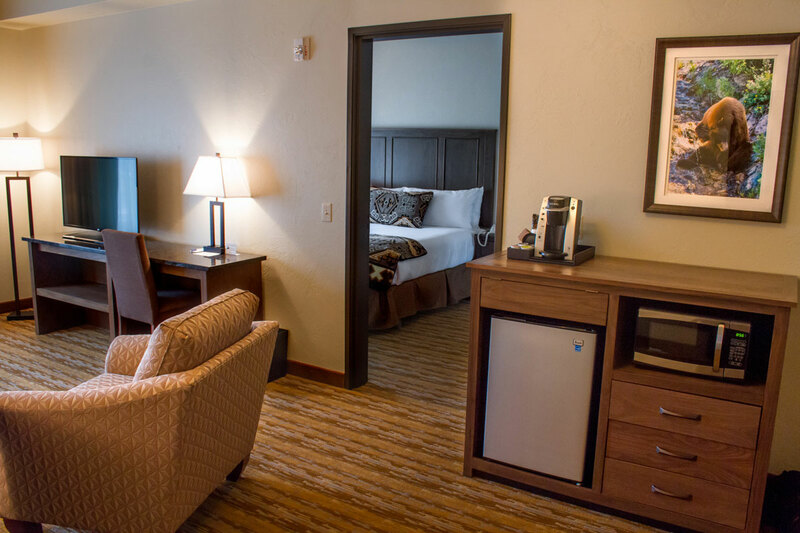 This spacious suite, appointed with a plush King bed and queen size sleeper sofa, a coffeemaker, a microwave and a refrigerator, is ideal for families and groups. 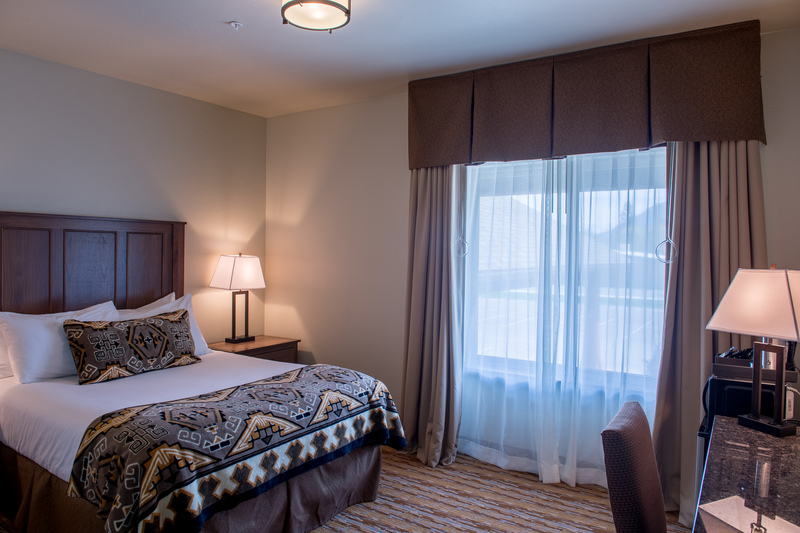 Doors separate the living room and the bedroom for added privacy and comfort. 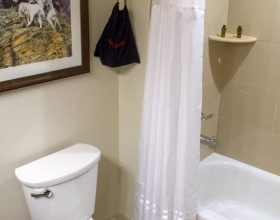 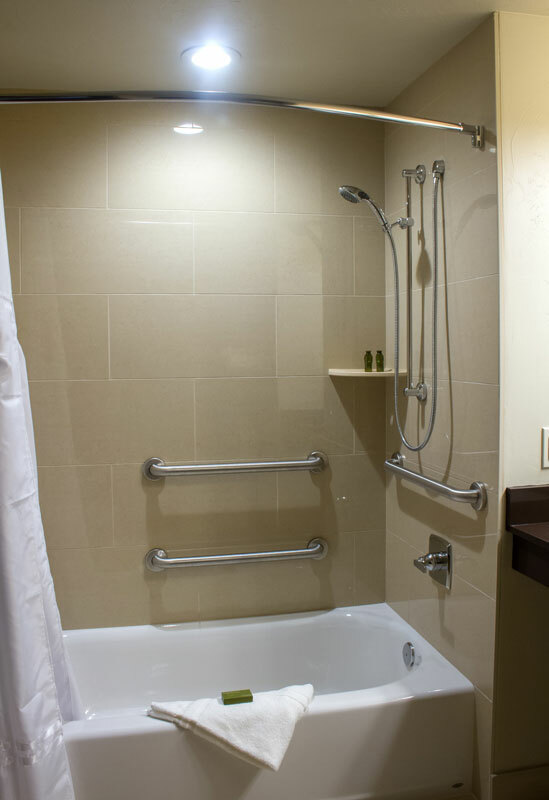 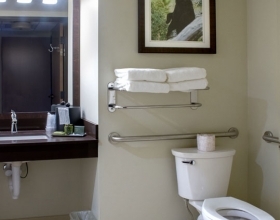 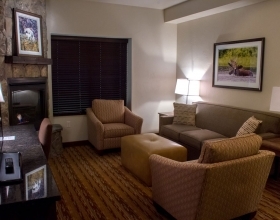 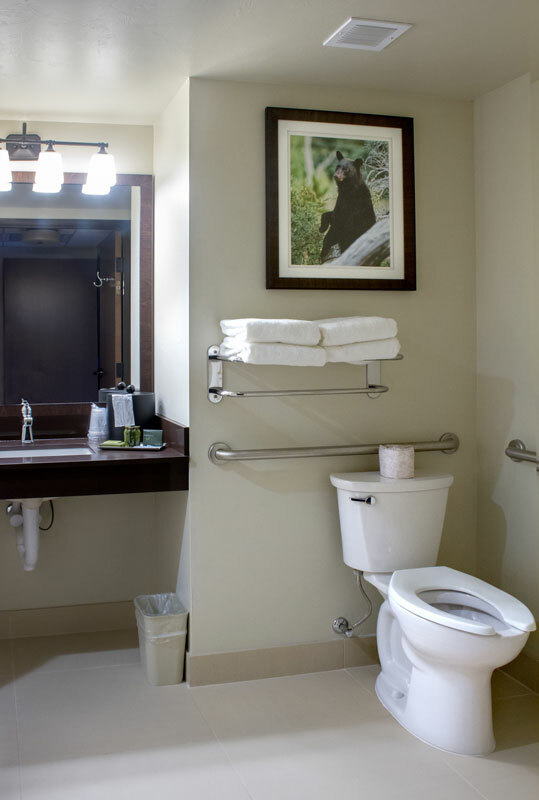 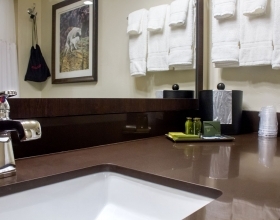 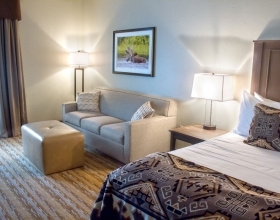 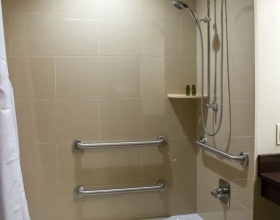 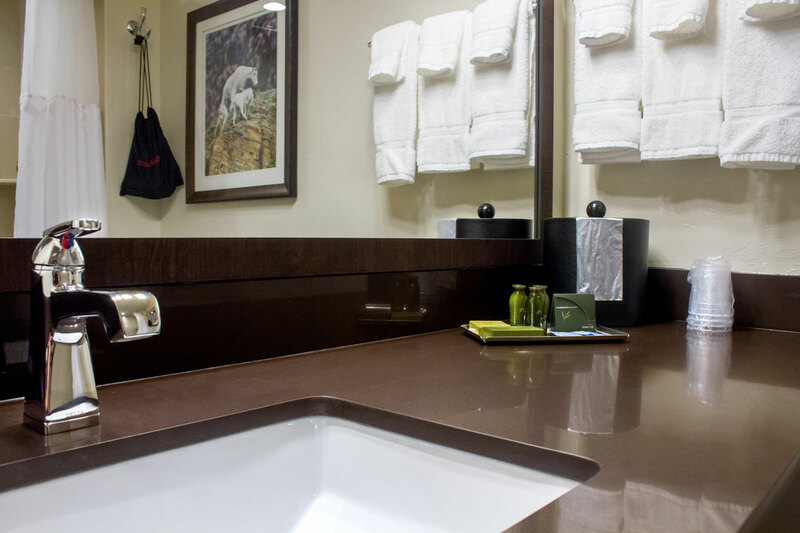 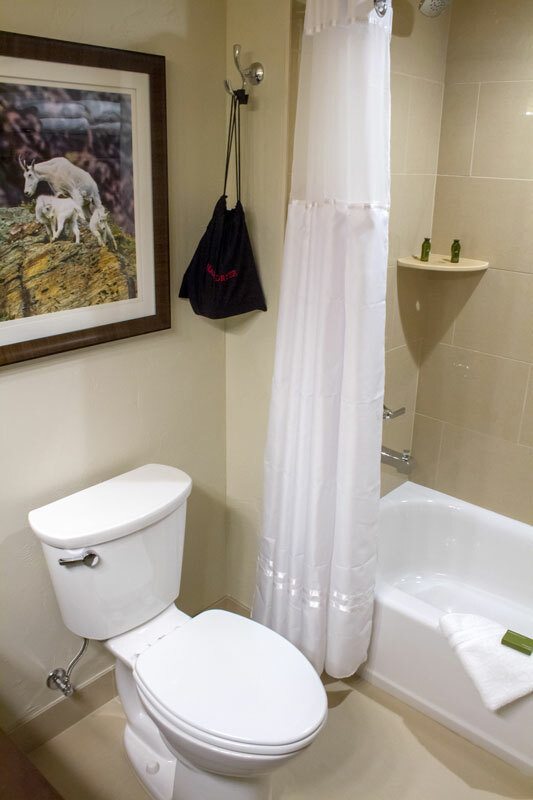 This suite features all of the amenities of our Suite with 1 King Bed, plus accessible amenities. 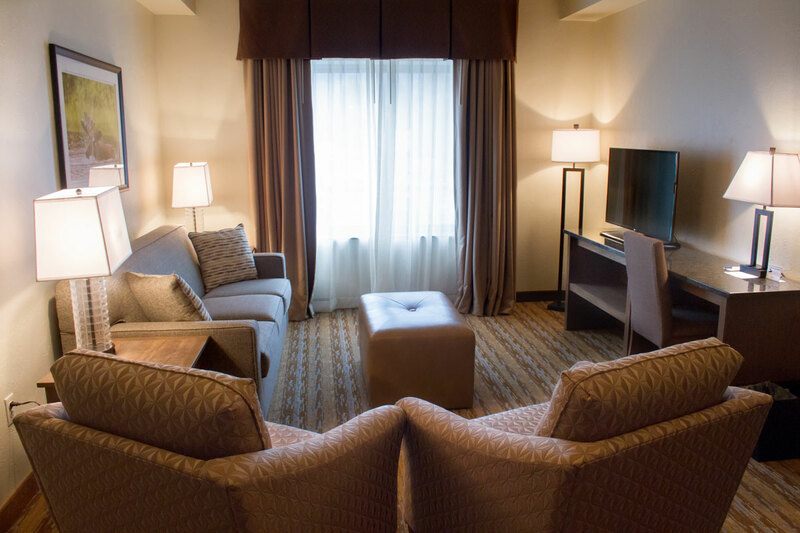 Doors separate the living room and the bedroom for added privacy and comfort. 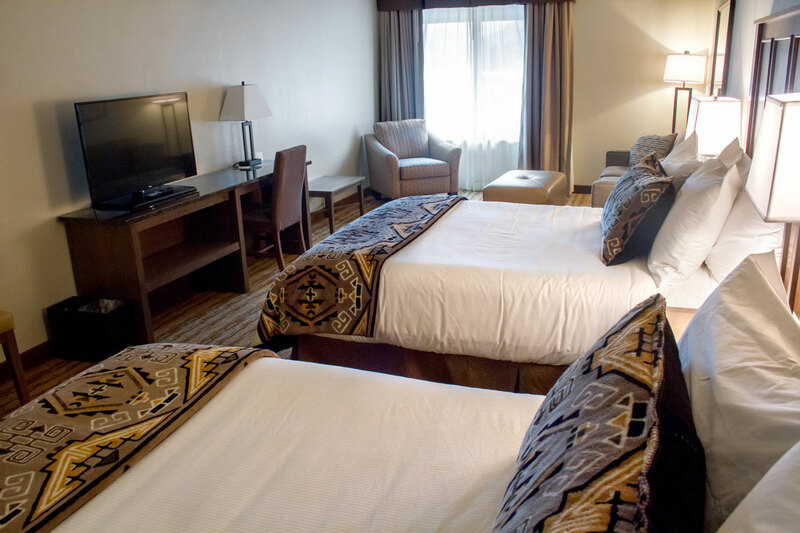 Our Deluxe room with 1 King bed is appointed with every comfort necessary for a relaxing stay. 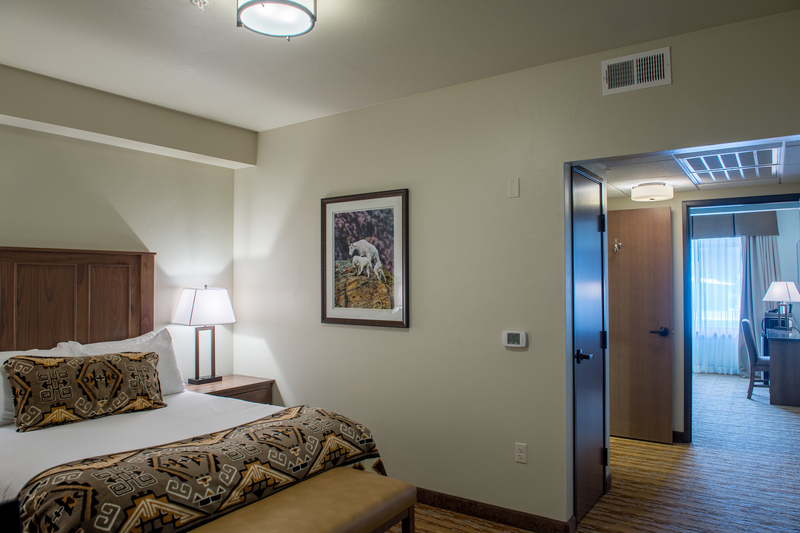 It includes a plush King bed, a queen size sleeper sofa, a coffeemaker, a microwave, a refrigerator and a flat-screen TV with cable and HBO. 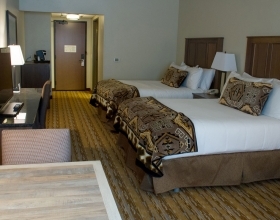 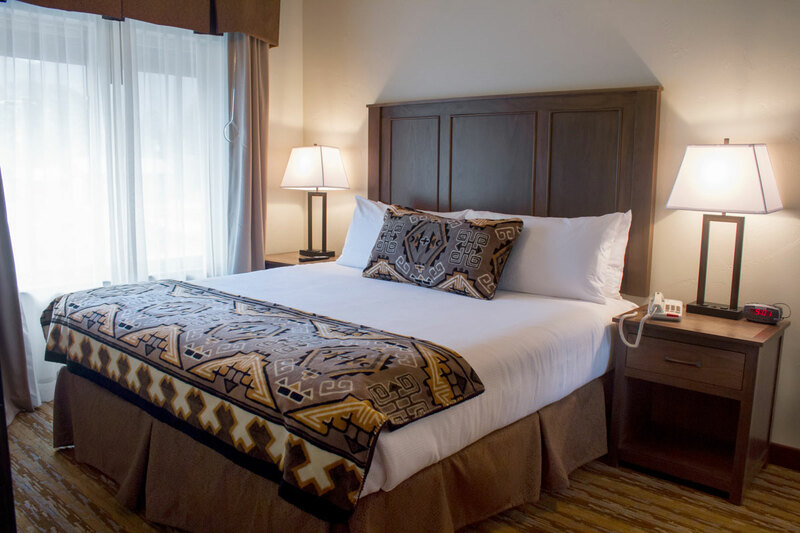 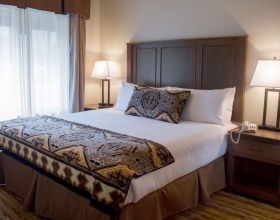 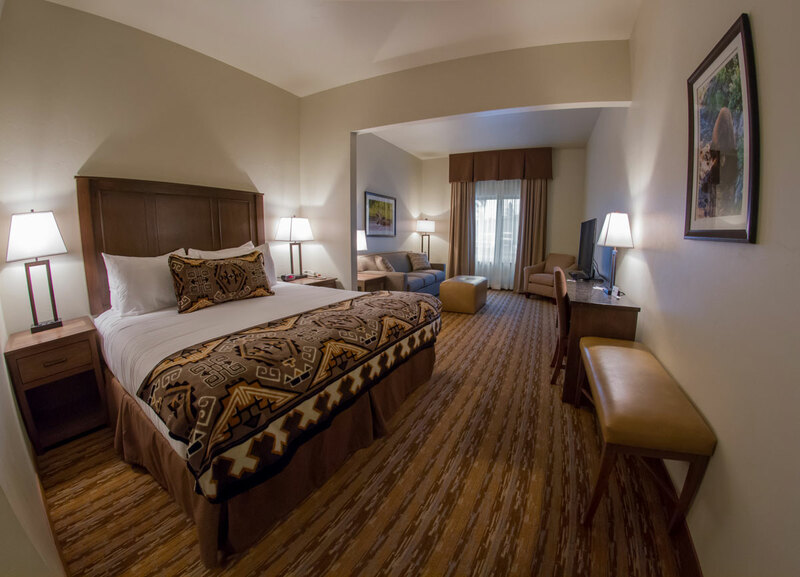 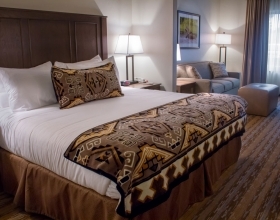 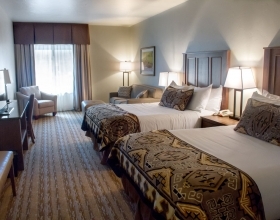 Our Deluxe 1 King Bed – ADA room features all of the amenities of our Deluxe 1 King Bed room, plus accessible amenities. 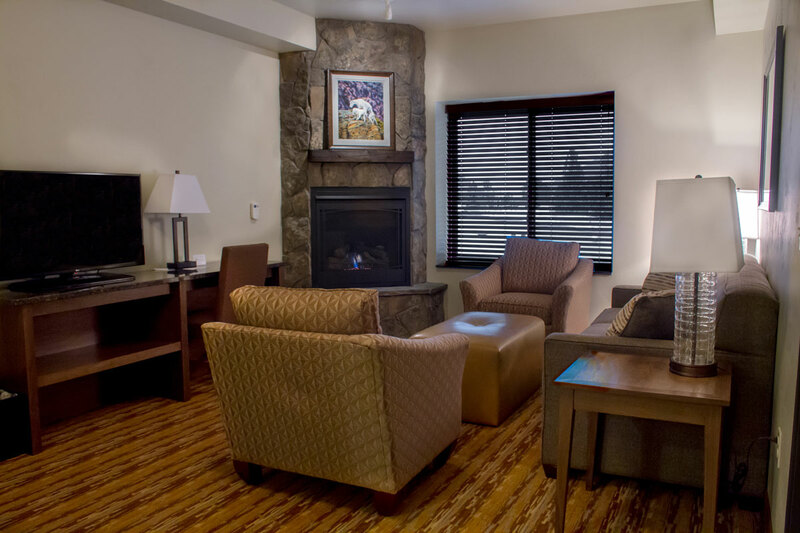 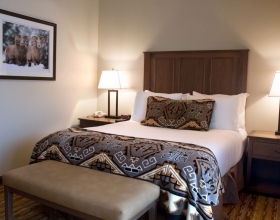 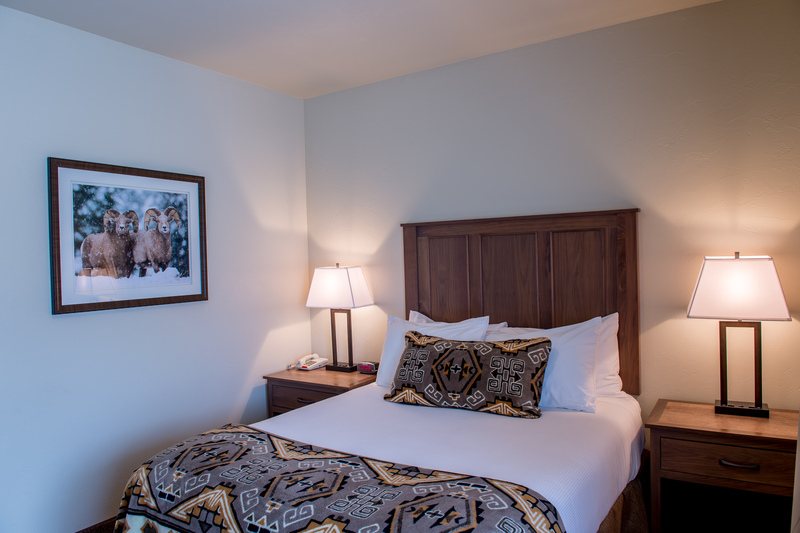 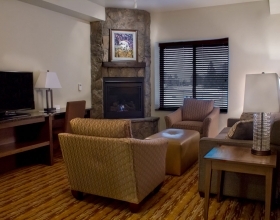 Ideal for families or groups, the Suite with 2 Queen beds offers the perfect mountain retreat. 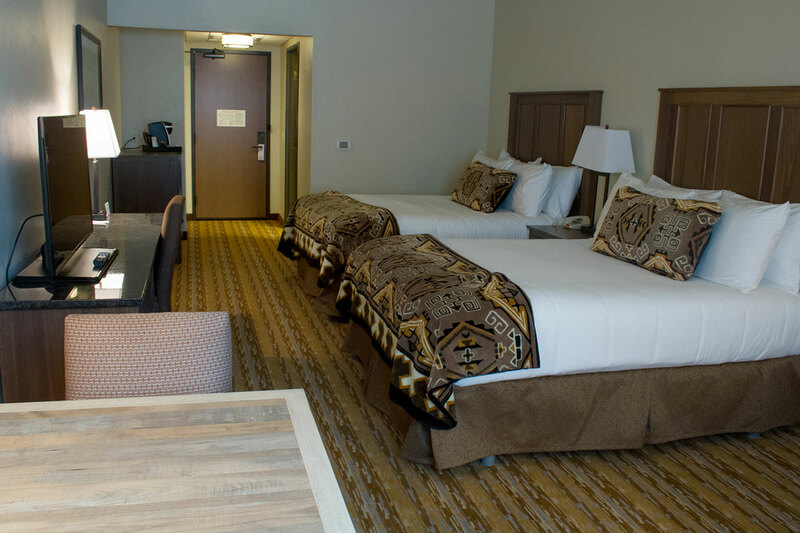 It includes two plush Queen beds separated by a door, a coffee maker, a flat-screen TV with HBO, a microwave and a refrigerator. 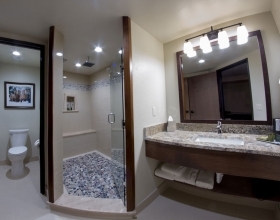 Doors separate the living room and the bedroom for added privacy and comfort. 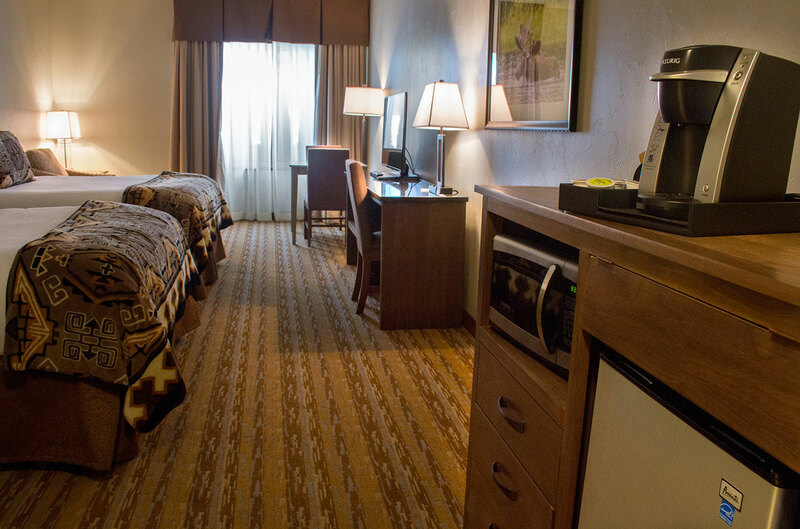 This suite features all of the conveniences of our Suite with 2 Queen Beds, plus accessible amenities. 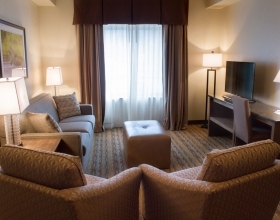 Doors separate the living room and both bedrooms for added privacy and comfort. 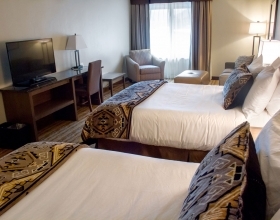 Our Deluxe room with 2 Queen beds is appointed with every comfort necessary for a relaxing stay. 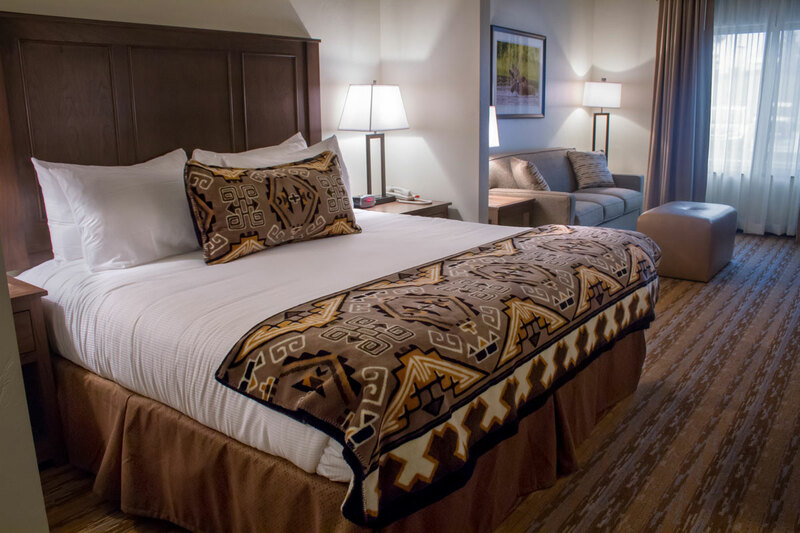 It includes two plush Queen beds, a queen size sleeper sofa, a coffeemaker, a microwave, a refrigerator and a flat-screen TV with cable and HBO. 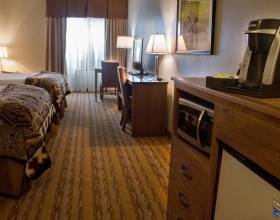 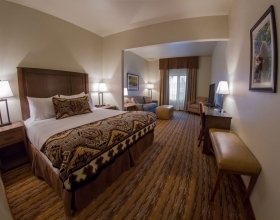 This room features all of the conveniences of our Deluxe with 2 Queen Beds room, plus accessible amenities. 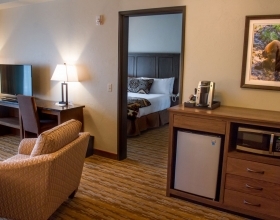 Our Standard room with two Queen beds offers a coffeemaker, a microwave, a refrigerator and a flat-screen TV with cable and HBO.